Sigma Alpha Mu's Polesit Philanthropy event benefiting the Make-A-Wish foundation. This event is centered around having a brother standing on top a 30 foot telephone pole with a crow’s nest on top. 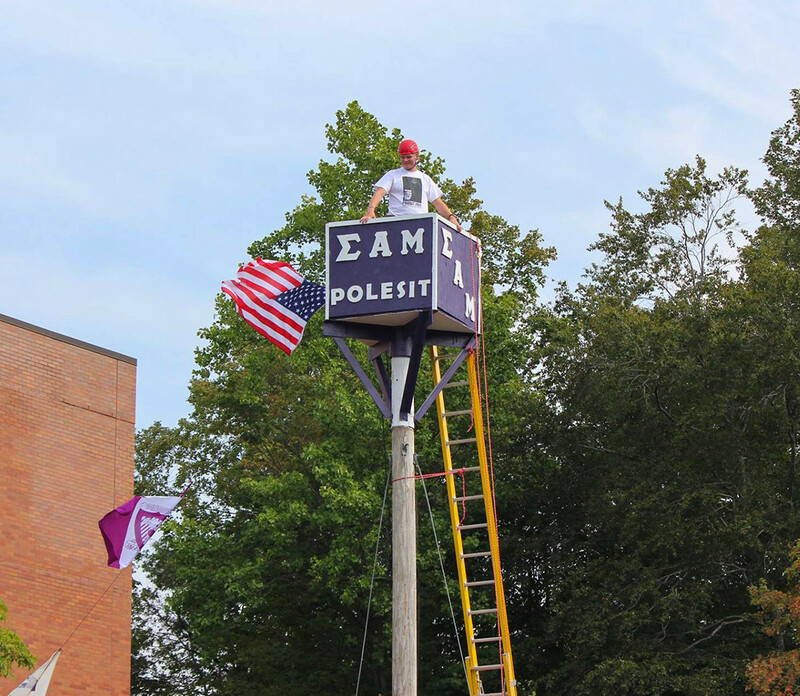 Members of the Fraternity also offer the opportunity to RIT students and staff to take a trip up top and view the campus from a different angle all while raising money for a great foundation.